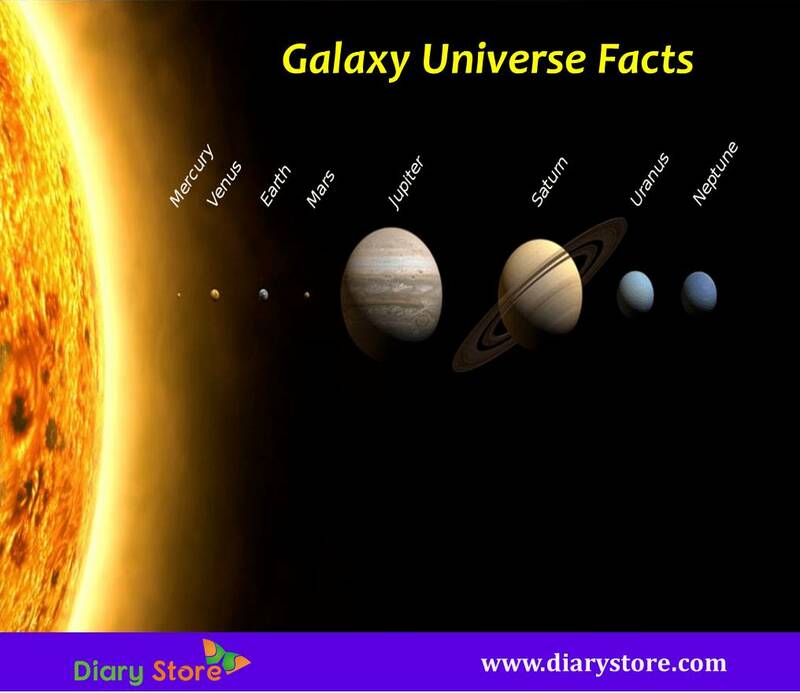 Galaxy Universe facts - The Universe contains billions of galaxies, planets, stars and black holes. According to Big Bang theory the age of universe is 13.75 billion years. According to the big bang theory, the size of the universe increases at a slow rate continuously. The Universe is filled with electrons, protons, neutrons and photons. Three largest galaxies found so far in the universe are Andromeda galaxy, Milky Way Galaxy and Triangulum galaxy. Andromeda galaxy is a spiral galaxy near our home galaxy called Milky Way galaxy. 26 black holes are present in the Andromeda galaxy. These black holes are referred to as stellar black holes. The Milky Way Galaxy is a large spiral galaxy. The sun and all planets rotate and revolve in the Milky Way galaxy. Many stellar and supermassive black holes are in the Milky Way galaxy. Triangulum galaxy is the neighboring galaxy to the Milky Way galaxy. It is also called a spiral galaxy. Triangulum galaxy is the prime region for formation of new stars. Stars are bigger and brighter than the sun. Stars do not twinkle; when the stars are near the horizon, light from star passes through atmosphere, the deflection causes change slightly in color and intensity resulting in twinkling effect. Sun is a dwarf star. Black holes have strong gravitational inward attraction from which even light cannot escape. Black holes have three layers singularity, outer and inner event horizon. 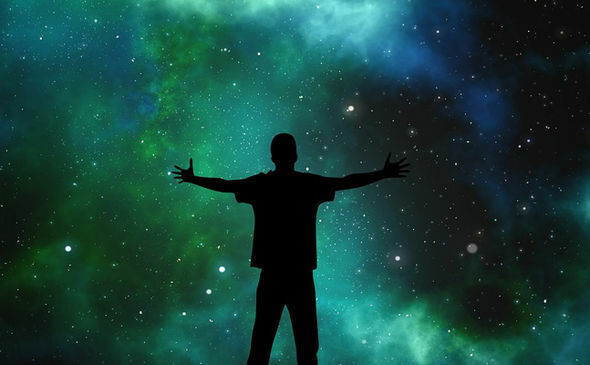 The Universe contains billions of Galaxies; each galaxy contains millions of stars. Galaxies are of different sizes and shapes. There are three kinds of galaxies such as Spiral, Irregular and Elliptical. Galaxies formed few hundred million years ago; at that time galaxies were small and close together. When galaxies collide they grow and change in shape. Each galaxy contains a black hole at its center. Spiral galaxy has lots of dust and gas. Spiral galaxies are circling waves; new stars are formed by circling waves. Spiral galaxies are the brightest galaxies in the universe. Our Milky Way galaxy is also called spiral galaxy. 20% of galaxies are spiral galaxies in the universe. Elliptical galaxy is smooth and ellipsoidal shape. Elliptical galaxy contains little dust and gas. Stars are formed by gases; stars are old and red in elliptical galaxies. Elliptical galaxy is denoted by ‘E’ letter and given 0 to 7 numbers for mathematical definitions for each galaxy. Irregular galaxy does not have any shape. ‘Starburst galaxy’ is one of the irregular galaxies. Many new stars are form in starburst galaxy and it also shines brightly. Black hole contains high gravity pulls that even light cannot get out from. We cannot see black holes; special tools can be used to find black holes. Black holes can be small or big. Black holes have different layers viz., the Outer, Inner event horizons and the singularity. Different kinds of black holes are found which came to be called as small, Stellar and supermassive. Even it is a Small black hole, its mass is equal to the one large mountain. Stellar is another kind of black hole. Stellar mass is 20 times greater than the mass of sun. Stellar black holes are present in Milky Way galaxy. Supermassive are the largest black holes. ‘Sagittarius A’ Supermassive black hole present at the center of Milky Way galaxy. Supermassive black hole of mass is one million suns together. Stars burn or collapse themselves leading to the formation of stellar black holes. Black holes consume gas and dust from galaxy, growing in size. Stars have the three times more massive than sun. There are 8 planets in our solar system; they are Mercury, Venus, Earth, Mars, Jupiter, Saturn, Uranus and Neptune. Mercury, Venus, Earth and mars are the Terrestrial planets and Jupiter, Saturn, Uranus and Neptune are the outer planets. Mercury is the smallest planet in our solar system. Mercury is the closest planet to the sun. Orbit Period of Mercury: The orbit period of mercury is 88 days. Average distance from sun: 57.91 million km (0.73 AU). Length of Day: The length of day of mercury is 58 days 15 hrs 30 min. Venus is the second largest planet from sun. Venus is the hottest planet. It referred as Earth Sister because size and mass are similar to earth. In the night after the moon, Venus is the second brightest planet in the sky. Orbit Period of Venus: The orbit period of Venus is 225 days. Distance from the Sun: 108,209,475 km (0.73 AU). Earth is a third largest planet from the sun. Earth is also called ‘Goldilocks planet’. Earth is the only planet to have the large amount of water for essential life. Distance From Sun: 149,598,262 km (1 AU). Mars is the fourth largest planet from the sun and second smallest planet in the solar system. Mars is known as red planet. Mars is very cold. Mars has two small moons are phabos and Deimos. Distance from the sun: 227,943,824 km (1.38 AU). Jupiter is the largest planet in the solar system. Jupiter made up helium and hydrogen gas. Jupiter covered with white, red, yellow and brown clouds. Jupiter spins faster than other planets. Distance from the sun: 778,340,821 km (5.20 AU). Saturn is the second largest in the solar system and sixth farthest planet from the sun. Saturn is the god of agriculture according to Roman mythology. Uranus is the seventh planet from the sun. Uranus is windy and cold. Uranus contains hydrogen, helium and methane. Distance from the sun: 2,870,658,186 km (19.22 AU). Neptune is the eighth planet and farthest planet from the sun. Neptune is the god of sea according to roman mythology. Neptune appears blue because it contains methane. Distance from the sun: 4,498,396,441 km (30.10 AU). Pluto is a dwarf planet. Pluto has much lesser gravity than on earth. It is very cold planet. Pluto has five moons. Pluto is smaller than the earth moon. Stars are bigger than the sun. Stars are held together by their own gravity. They are luminous balls of hydrogen and helium gas. Stars are in different colors depending on their temperatures; Cooler stars appear red or orange and hotter stars appear white or blue. The gigantic gas clouds collapse themselves; hydrogen nuclei begin to fuse into helium nuclei and then stars are born.